Daryl Johnson (Worcester Park, United Kingdom) on 26 March 2019 in Food & Cuisine. 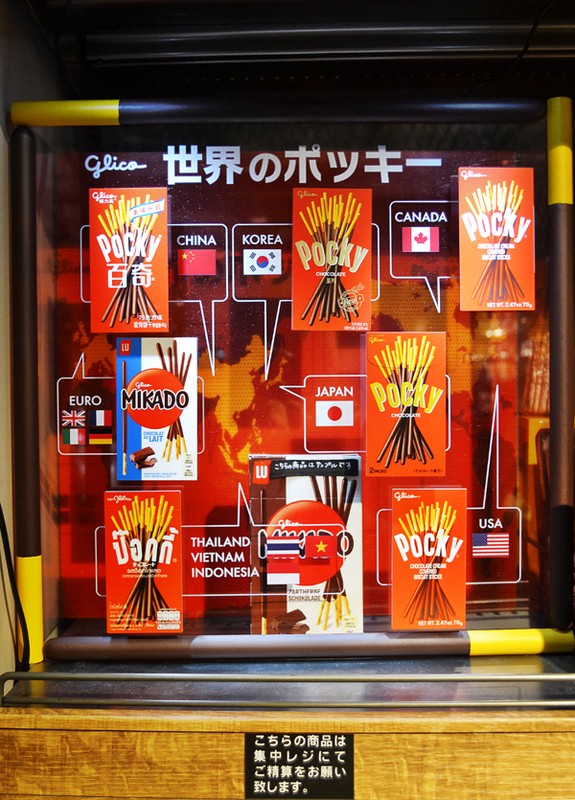 Display in a snack shop in Osaka station, showing how the famous Japanese chocolate biscuit "Pocky" is sold all around the world. Yes indeed, I get mine at Costco. ;-) A beautiful capture.